For over a decade, the annual 9-week Construction Leadership Institute has trained the area’s top emerging leaders in the architecture, engineering and construction (A/E/C) industry. Help improve the processes and outcomes of the building industry by preparing the next generation of leaders. 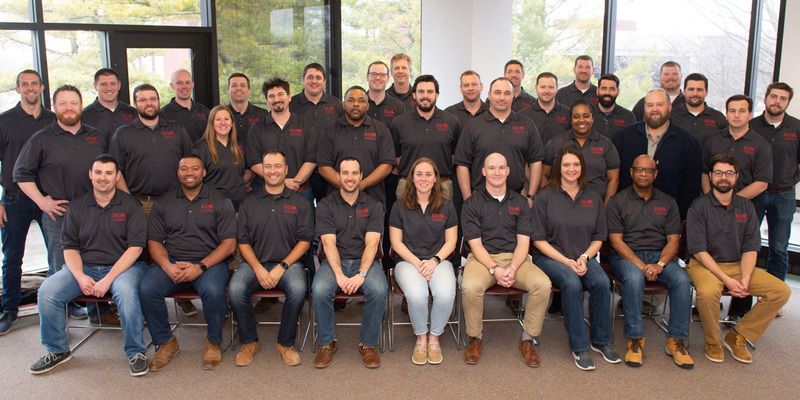 The Construction Leadership Institute is an Executive Education program jointly developed by the SIUE School of Business and the Department of Construction in the School of Engineering. The program of instruction is designed and continually updated by the Construction Leadership Institute Advisory Board to ensure alignment with industry needs in a rapidly changing environment. The Construction Leadership Institute is a convenient, accelerated, nine-week program that provides participants with the opportunity to quickly learn leadership, communication and professional skills that would otherwise take many years of experience to gain. The Construction Leadership Institute is a unique program that brings together individuals from many different areas of the A/E/C industry. The program includes discussions, exercises and simulations that draw on the experience of participants and creates an environment of discovery and collaboration.